Funny how even without context it’s still pretty clear what that means. 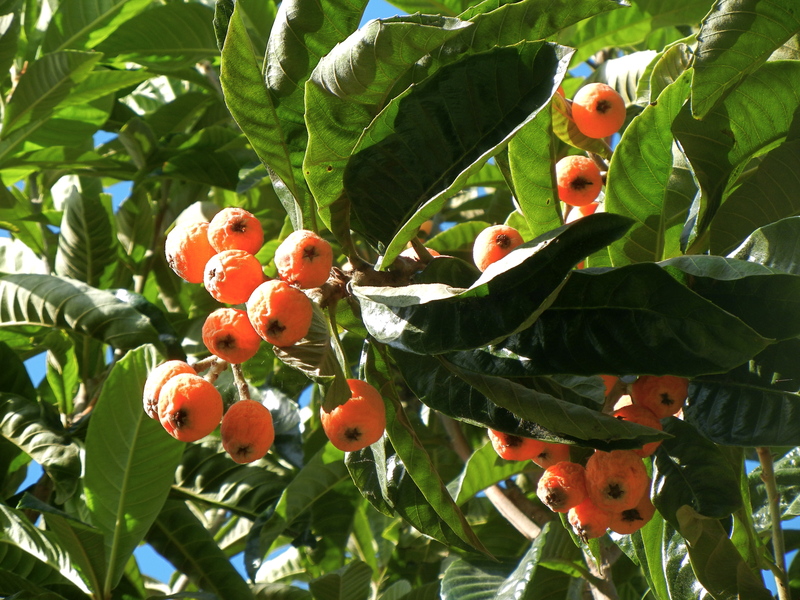 That turn of phrase grew common in China where they once referred to brothels as “the gates of loquats” because the loquat blossoms smell so delicious. The trees grow rampant across this city, but people don’t seem as excited about them here as they might be in China. Maybe we just don’t know what they are or maybe we just don’t own a tall enough ladder to reach the fruit. Either way, if you put in the effort you’ll find a sweet stone fruit, not a citrus as its name’s likeness to the kumquat might imply. “Quat” means orange in Cantonese. Kumquat: golden orange. 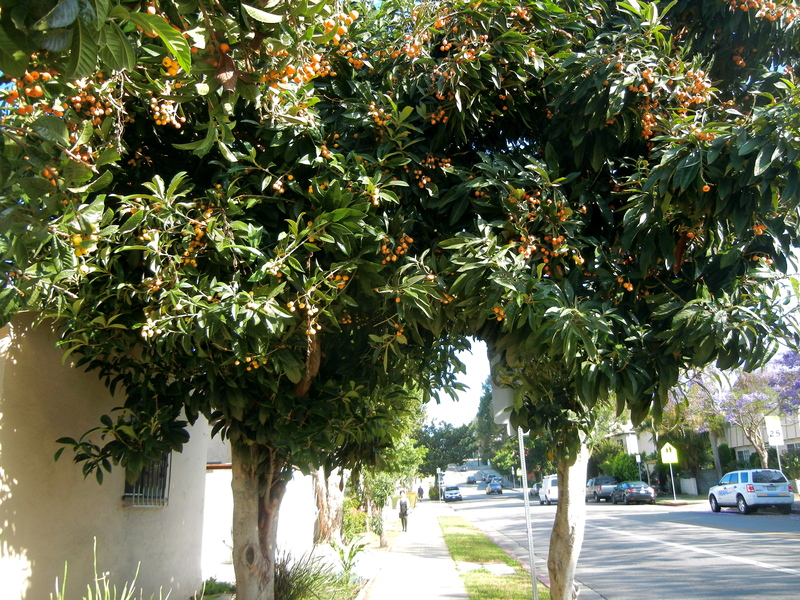 Loquat: reed orange, meaning the tree likes to grow where it’s swampy like a reed.